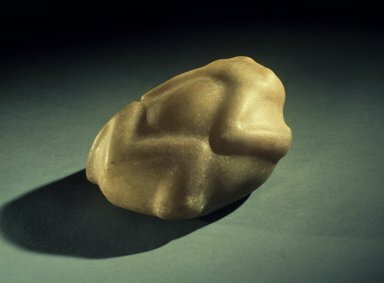 Quartzite stone carved in shape of a frog. Date and cultural attribution to be confirmed. Jemez consultants reported that when a frog speaks, you know the rain will come.